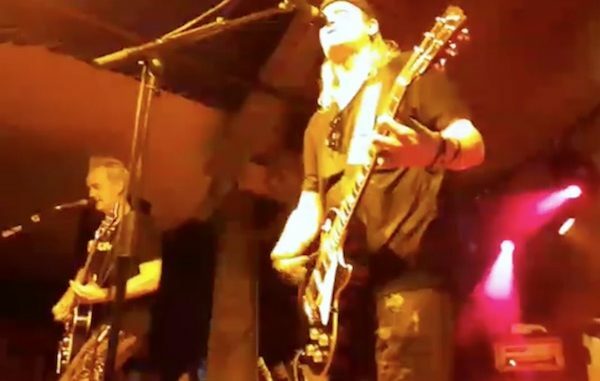 SEBASTIAN – Puddle of Mudd entertained more than 900 fans at the Captain Hiram’s Sandbar on Monday night for an unforgettable concert. Also taking the stage was Tantric, The Veer Union, The Shallow Side, and Saliva. The performance was part of The Resurrection Tour 2018. As far as the weather, concertgoers got lucky. The National Weather Service called for high winds and a lot of rain, but it cleared up by 4:00 p.m. before the concert got started. All five bands took the stage one by one to a large welcoming crowd. 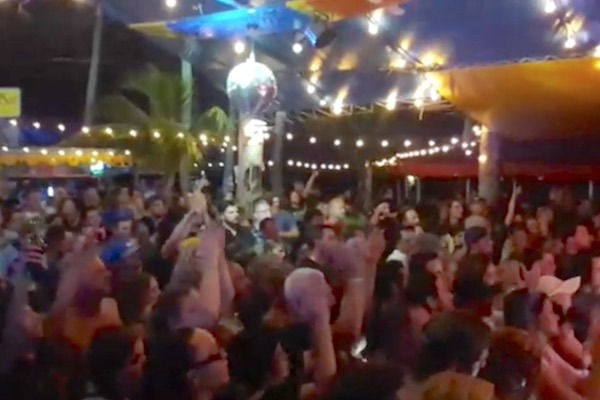 “Our bands were overwhelmed by the turnout, and the fans got one heck of a show,” Kimball Stadler, Director of Marketing at Capt Hiram’s Resort, told Sebastian Daily. Stadler said its been a busy year for the resort, with recent concerts by Badfish, The Spazmatics, The Caribbean Chillers, and 13 weeks of Reggae. “It’s always been our wish to provide a great hangout spot, whether you’re a local or a visitor from out of the area,” Stadler added. Hundreds of cheering fans were ready for this concert. Many people are still talking about it. “The entertainment and sound and lighting staff made the show. One of the best events there in a long time,” Marley Marl said. The concert was loud and fun, with lots of energy. The Sandbar was packed with people waving their arms and singing to most of the songs. “I had so much fun I’m going to be deaf for the next few days,” Christelle Flood said. At one point during the Puddle of Mudd performance, the band got quiet, and then they played “Blurry.” Every fan knew the words as lead singer Wes Scantlin smiled from the stage. Sebastian is becoming a hotspot for bands and live entertainment. We have a unique little town on the water, with plenty of things to do, and a great nightlife. 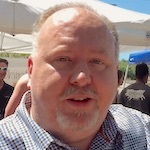 Stadler says more concerts are coming soon, as well as great deals each month for Loyalty Members.